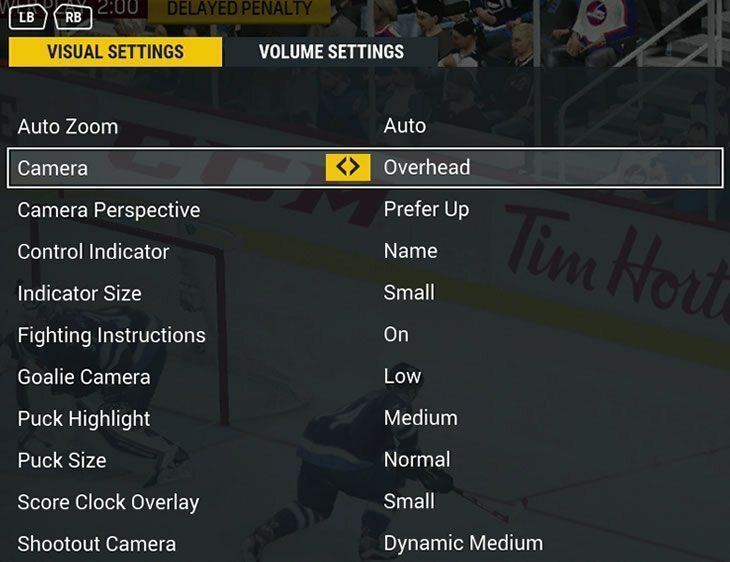 Have you ever tried changing the camera view in your NHL visual settings? If not, then it’s very likely you are currently playing at a huge disadvantage. Now you’re probably thinking… “okay great, there’s 10 different camera view options and I have to test out each one?!?! Who’s got that kind of time?“. It’s a valid point, pucks aren’t going to go bardown themselves, we can’t have everyone wasting time trying out different camera angles so I’ve gone ahead and done all the heavy lifting for ya – just consider me your equipment manager. 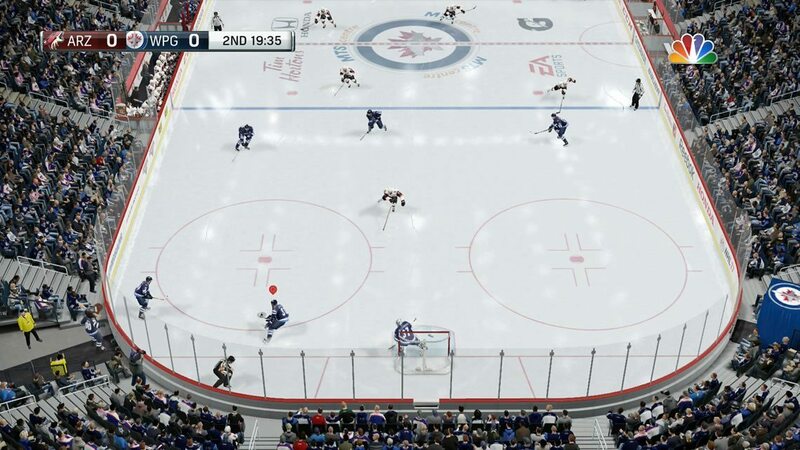 Below you will find the advantages and disadvantages of each camera view in NHL 19 along with some screenshots to better help you make your decision. We’ll end off with my own recommendation. 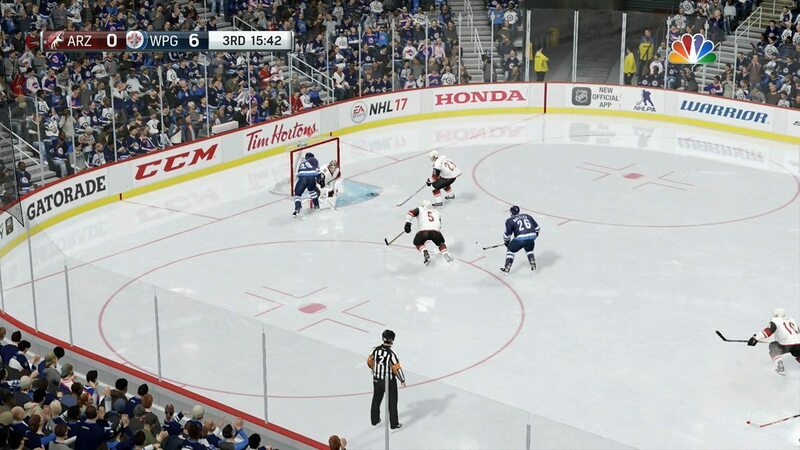 Disclaimer: The screenshots below are still from NHL 17 as the camera angles haven’t changed since I originally wrote this post. Okay, let’s get into the different camera angles. To save some length on this post I’ve added image sliders to include both offensive and defensive zone screenshots for each view. If on mobile, simply swipe left or right to view each image. It does provide a great shooting angle for spotting openings in the net; however, the fact you can’t see the full width of the ice and all your players is a real problem here that takes away any benefit that the shooting angle provides. I don’t recommend this camera angle. Similar to Dynamic low but to a lesser extent on all accounts. You can see more of the ice but still not the full width. Shooting angle is still good but not quite as great as in dynamic low. The best option out of the “Dynamic” views, in my opinion. You can see almost the full width of the ice. The huge advantage of being able to see all your players on the ice will be an on-going trend of this post. This was the first time I had ever used “Zone” and I was pleasantly surprised. It provides a great view of the ice, if not the best out of all the angles. Some players may dislike how far zoomed out it feels so I placed that in the cons, but really that is a preference case. An issue I did have with this view was that sometimes on the rush it was difficult to tell how close a defender was to you. 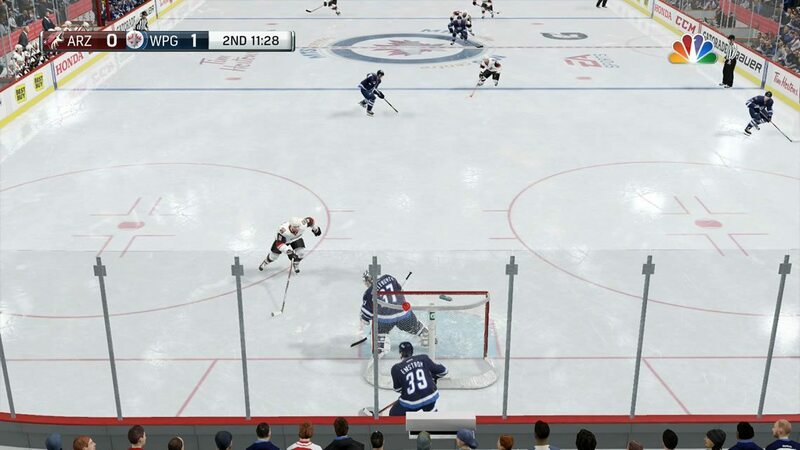 So you couldn’t tell if they were close enough to poke check or not. 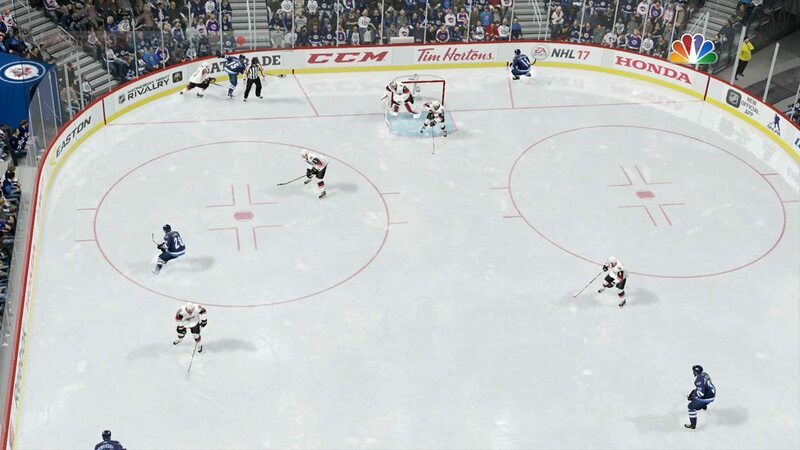 While the view distance and shooting angles are good the width when near the boards is terrible. You will rarely, if ever, be able to see all your players while in the offensive zone. Similar to Dynamic High but slightly worse viewing angles in some cases. If you like this one then you might want to use Dynamic High instead. View from the defensive end is good; but not so good in the offensive zone as you can’t always see your defenseman. Great view of the ice and the best view of the actual play. A more top down look versus Zone’s more vertically angled view allows you to see exactly how much space is between you and players around you. View distance from behind your net is only average and the view of the opponents net for spotting openings is below average. Overall, as I’ve said before, I find the view of the play itself to be the most important aspect of the camera angle and Overhead nails it. A good view of each zone but more of just a fun view to mess around in rather than a competitive view – for obvious reasons. In the controller settings you can change the “Camera Relative” controls to always up if you prefer. 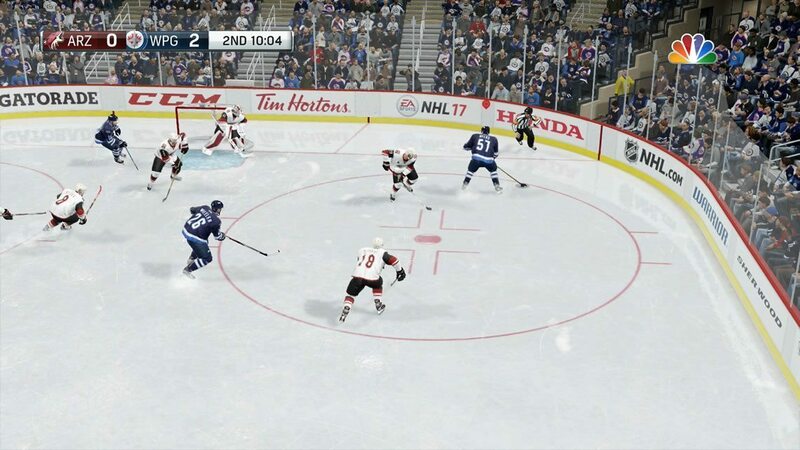 I wish there was some sort of NHL caster mode so you could watch EA Sports NHL games live from the True Broadcast view. 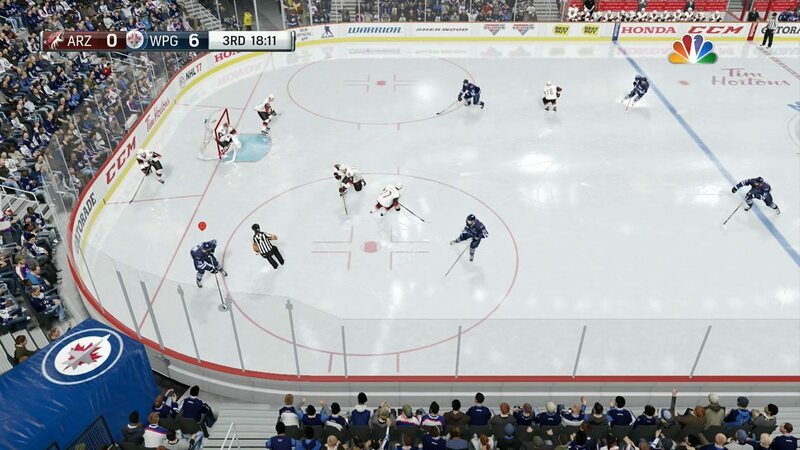 I’d love to spectate some top EASHL teams or top Versus players from the True Broadcast angle. As for actual gameplay, I recommend not using True Broadcast unless you are just having fun messing around with it. Auto Zoom automatically adjusts the camera angle to show the best possible angles. This sounds great but personally I find it more annoying than helpful. 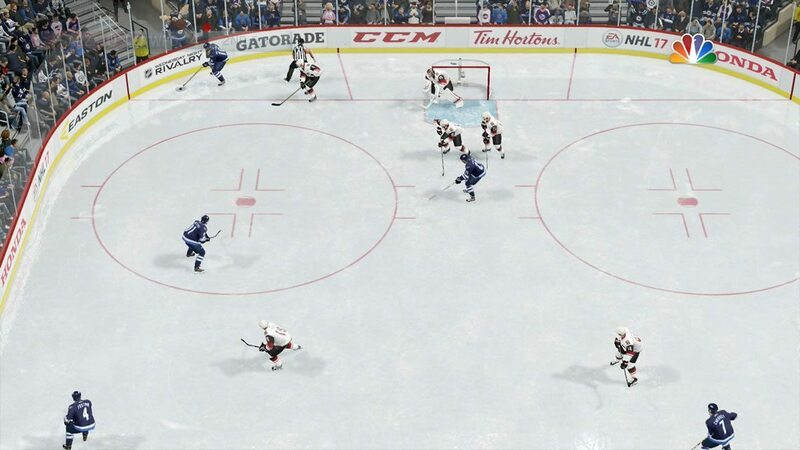 I think if you’re doing a close up view of your player like Dynamic Low or Action then it could be helpful; however, something like Overhead or Zone you probably won’t want the camera adjusting itself since you can already see the full ice. If you’ve read the post so far than you can probably guess that my recommendation will be Overhead. It’s the camera angle I’ve used for the last few years and I find it gives you the best of your players and the current play. With that said, I was impressed with Zone. I’m not sure when that view was introduced but it gives a great view of the ice from both the offensive and defensive end. It’s slightly tilted down vertical angle gives a better view of the offensive zone net but the fact it’s difficult to tell the depth of players/goalies in the offensive zone takes away from that benefit. It’s difficult to tell how far the goalie is out of their net. All in all, I highly recommend using Overhead. It might take a bit of getting use too as it’s quite a bit further out than most of the other views but being able to see all your players and the space between them and your opponents is a huge advantage. 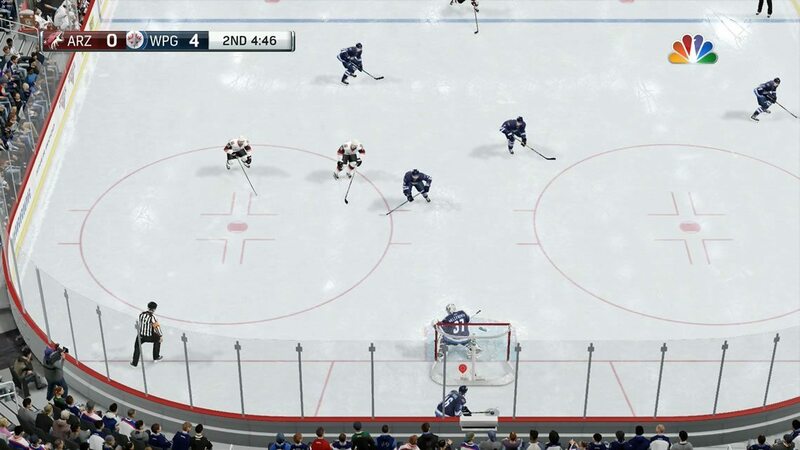 Zone is Custom 3 from last gen. What’s your suggestion for a defensemen? Ah, that’s why I didn’t recognize the name, thanks! I still use Overhead as a defenseman. Zone might give a bit better view of the ice since you can see further back while in the offensive zone but I prefer the more top down look of the overhead still. Overhead combined with pressing “select” to focus the camera on myself when needed. ie. if players are cherry picking then I’ll focus the camera on myself and make sure they don’t get behind me. WOW!! I had NO idea that option existed! I wonder if it works in other views? Pretty sure it works with any view you have it on! I have used overhead religiously ever since being introduced. 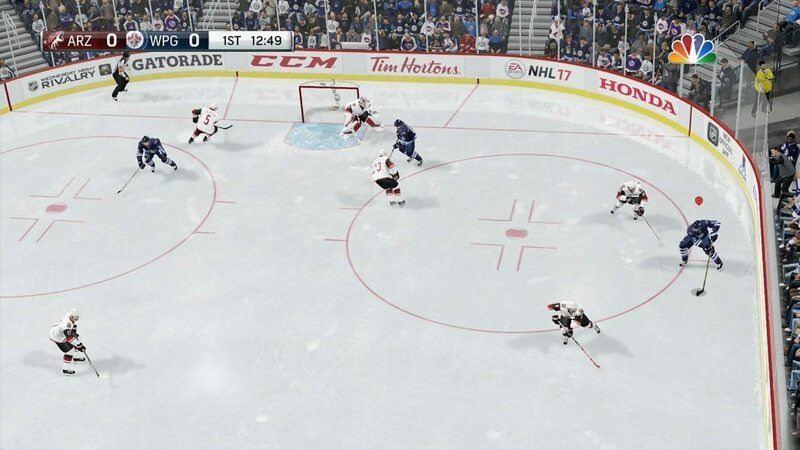 Mostly beacause as you have pointed out I can see all of the ice offense and defense. I have often wondered if maybe the size of the television makes a difference in the other views. I am currently playing on a Panasonic 46 but again I often wonder if I had a bigger television if I could ever leave overhead and get a bit more closer to the action. It’s been so long I wish you could watch a real game with overhead especially following your team down the ice now that would be cool. Broadcast/True Broadcast has been the view of choice for me since NHL 98. 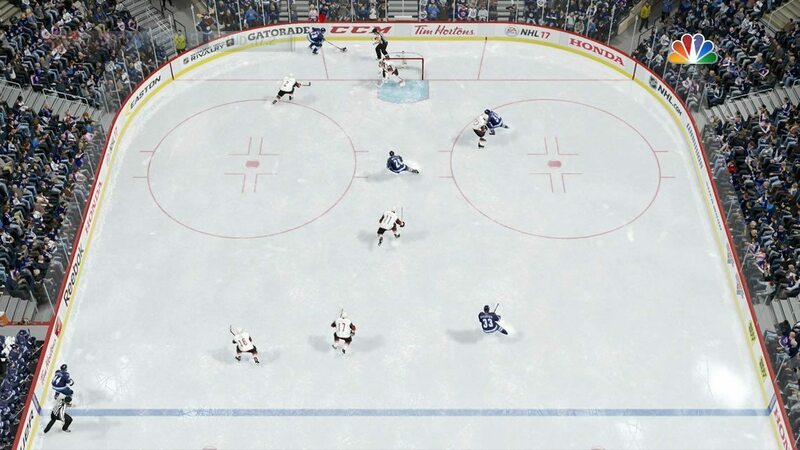 I think 98 finally had good enough graphics to be able to play in this view and still get a 3 dimensional aspect of what was going on, on the ice. Of course, the angles are much more difficult to interpret in this view. It was no longer mainly 45º or 90º angles to choose a gauge your passes or paths from. 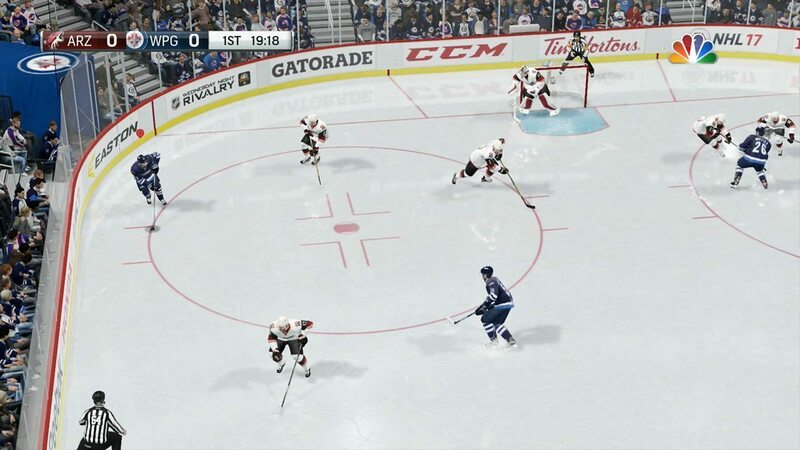 It forced players to figure out the odd angles they saw on the ice, and try to push the thumb stick in that general direction give or take depending pass-assist settings or code in the game. Of course, angles are angles. All I’m trying to convey here is that in overhead view, the angle you needed to push towards was easily enough determined by looking at the ice surface exactly like a compass and letting your thumb go in the direction your eyes determined the angle to be. 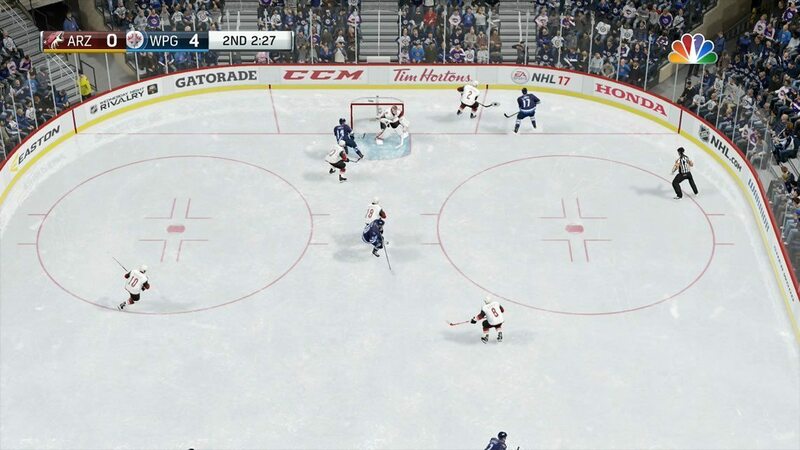 Which was generally easy enough in my experience playing video hockey on overhead views since EA’s NHL 92 version. 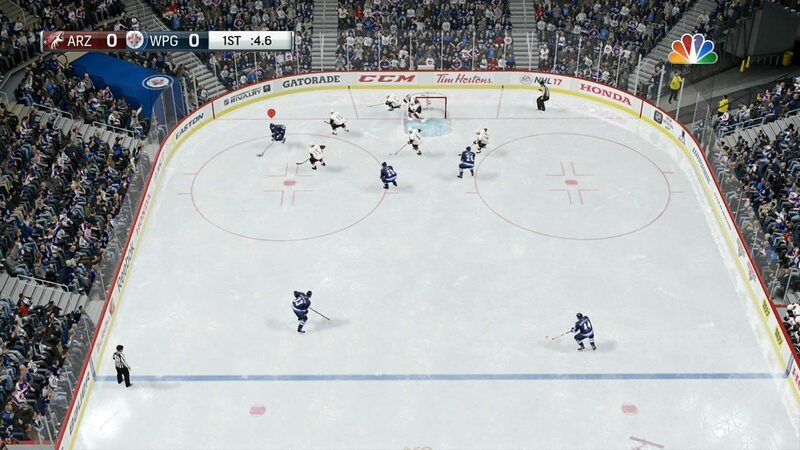 Once I started, and everyone else I knew tried playing on broadcast view, it was noticeably harder determining at what angle you needed to push towards to hit your open man with a pass, or even what angle you needed to push towards to make you own way towards the oppositions goal without getting clocked, stripped of the puck, or even running yourself in the boards. It was obviously harder to judge. Once I had all my friends on-board who used to come over to play some 2 vs 2 co-op games and they started to get used to it, there was absolutely no turning back! No one of our group of about 8 players who would come over on various nights for our little tournaments and such, never EVER tried to bring up the subject of switching the view back to overhead. Anytime we’d see an overhead view game played somewhere by someone else, it always looked so ridiculous and odd to us. 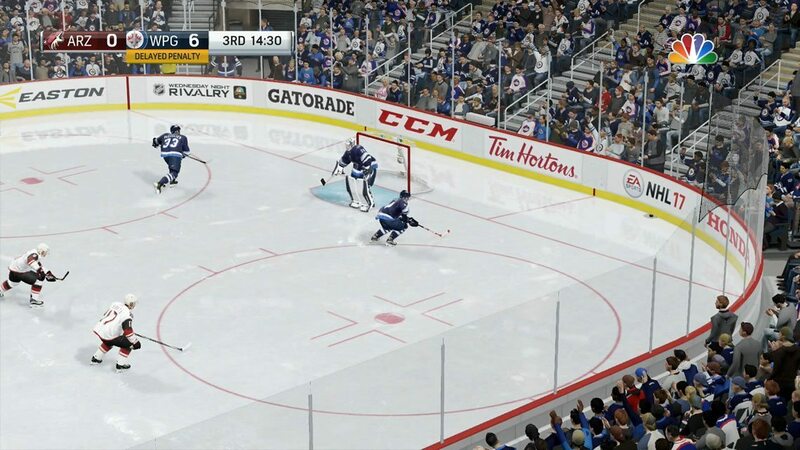 Almost like they were playing a earlier version of the game like NHL ’94 or ’95. It looked “corny” for lack of a better word. It seemed like a step back in the world and progress of video hockey. Once everyone had played enough games to be comfortable enough that they were playing at a high enough skill level that they didn’t feel like they were missing anything on the ice there was no way anyone would play any other way. And I have to admit I faced huge opposition and disgust to my propositions for them to give Broadcast View a shot. I’ll also admit, I didn’t really give anyone much of a choice either lol. It was my place, my machine and game and controllers we were all using to play, so I used that leverage to kind of “force” them to try it. On overhead view for so many years, there was an obvious gap in the skill levels of some of the players. I’ll say it modestly, I won a lot. Even when 2 on 2 co-op mode became available with the advent of NHL ’94 on Sega Genesis with the multi-tap peripheral, regardless of who was my partner, I still won a lot. 19 times out of 20 maybe? It might have gotten old for some after awhile, but we would switch up the partners and such to give everyone a different chance at winning somehow. But once we started playing at Broadcast view, there seemed to be a noticeable leveling of the playing field. We were all experiencing something new-ish, myself included, and it gave everyone a challenge, myself included. But most of all, it was FUN! There seemed to be something about it that made the action on the ice way more noticeable. We could all see more of the little details of what was happening on the ice when it came to all aspects of the game. We saw puck bounces better, hits were clearer and more avoidable with skill. Even passing lanes became more obvious once you got into that 3rd dimension state of mind. I could always tell when I wasn’t playing well. I wasn’t putting myself in that 3 dimensional state of playing the game that I could see on screen. I was playing 2 dimensional, and it would kill me. As soon as I put myself in that 3rd dimension state, It was like a light going on in my head. I could tell when other were or weren’t in that state. I’d tell my teammate at the time, “Come on man, get into your player! See that 3D part of the ice.”. They always knew what I meant and usually realized what they were doing, or “seeing”, wrong. I hope that explains it somewhat. Sorry for the rambling there. I guess I had a lot to say about the subject over all these years haha! 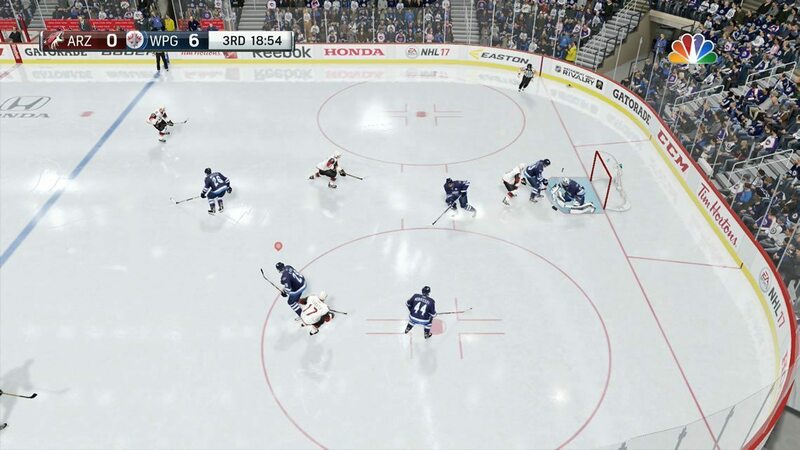 And now ever since the “Be a Pro” mode has come along and they have that “right ON the ice cam” that follows you around when you get control of the puck, “sometimes” not always, it’s even more realistic. I love that part of the mode! It’s really intense when you’re in the thick of the action! It’s very very tricky though when the camera kind of swings around and you don’t see it coming. If you can anticipate it though, it can be a very interactive way to play the game! I hope it gets developed even more and somehow gets implemented into online 6 on 6 play. That would be just incredible! 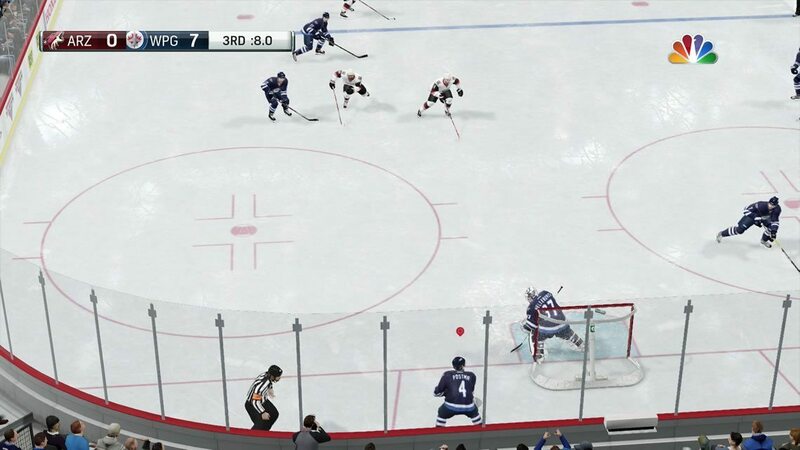 I have one quick question that I have noticed with past versions of the game, that there is a ‘goalie’ camera angle setting as well. 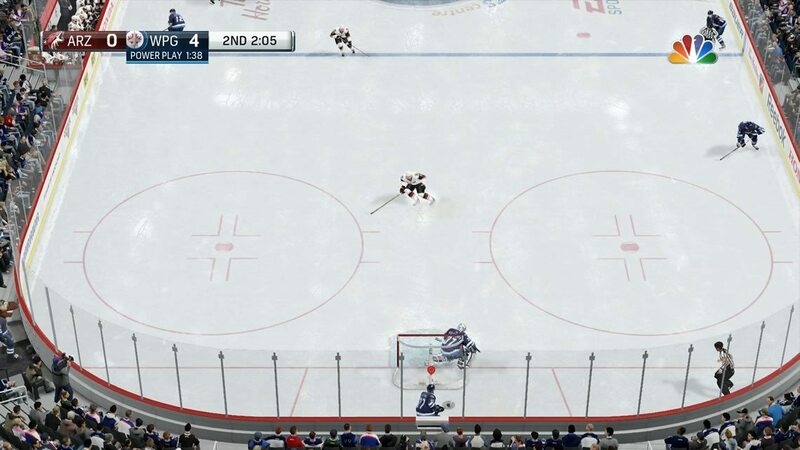 What I noticed when I discovered this setting, was that it gave the actual height adjustment from the bottom goalie, or current player goalie’s viewpoint, giving the actual view for the opposite end of the ice for the offense. When discovering this option, it threw a rod into my engine on figuring out which was the best to use. Has anyone else figured this out as well, as it is what I came here to learn on the newest game. 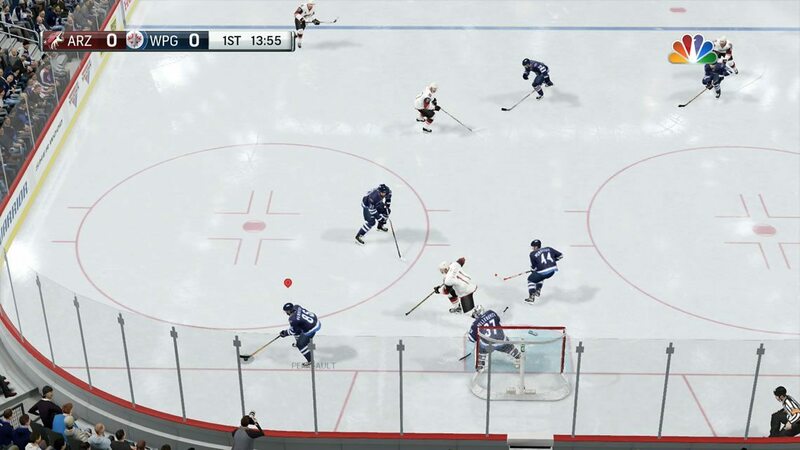 Also, as a helpful tip for anyone wanting to play with the different angles, simply do a ‘free skate’ with your favorite player and adjust the settings there to get a feel for the best angle for you. Hey Chris, nice tip! Thanks for sharing. “Goalie Camera” and it has options like Low, High, Fixed, Action, etc. is that the one you were referring too? If not, then sounds like it might be a height adjustment option that is no longer in the game. 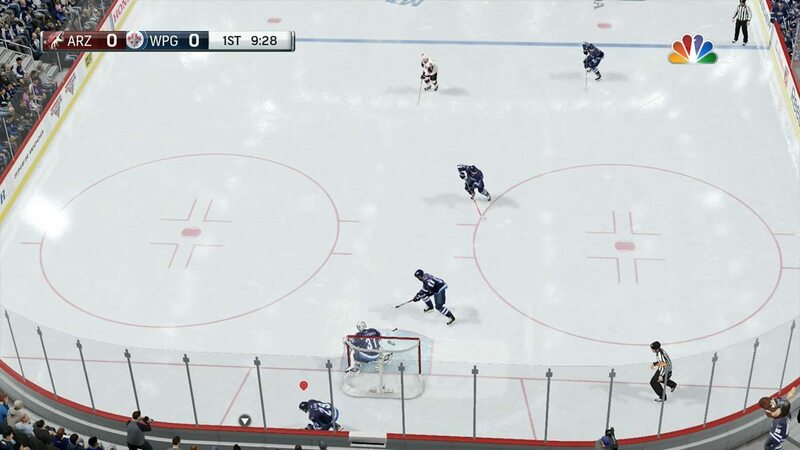 Pull your goalie, and the camera follow you around as a substitute player. My son loves doing this as he s right in the action. I love overhead. But weird to, every other period, to be skating in a different direction. 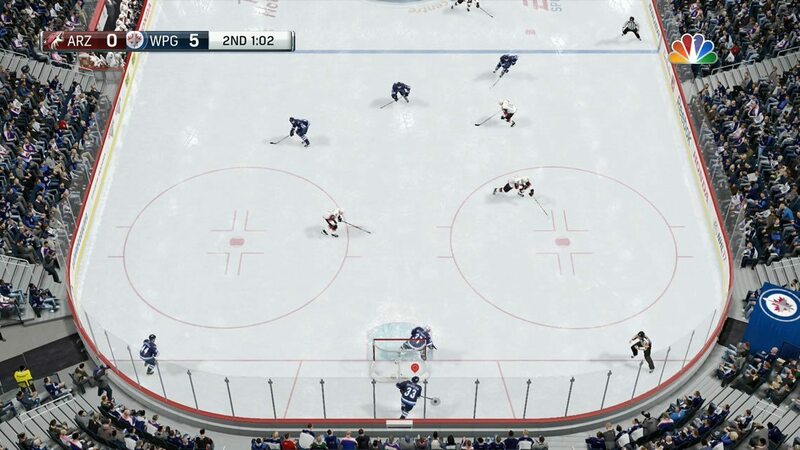 Is there a way to have it so that I’m always skating from the bottom of the screen to the top of the screen when on offense? I’m sorry but what is the obvious reasons why broadcast cannot be a serious view? Well, if you take a quick second or two to think about it, you’d realize that you are OBVIOUSly not going to be able to place shot nearly as accurate as you could in “dynamic low” for example.